Lesvos is the third biggest island in Greece and the largest of the Northeastern Aegean sea. Home of the ancient Greek lyric poet Sappho, Lesvos is also a great holiday destination: an island with smooth climate, beautiful beaches, traditional villages, and diverse natural beauty. 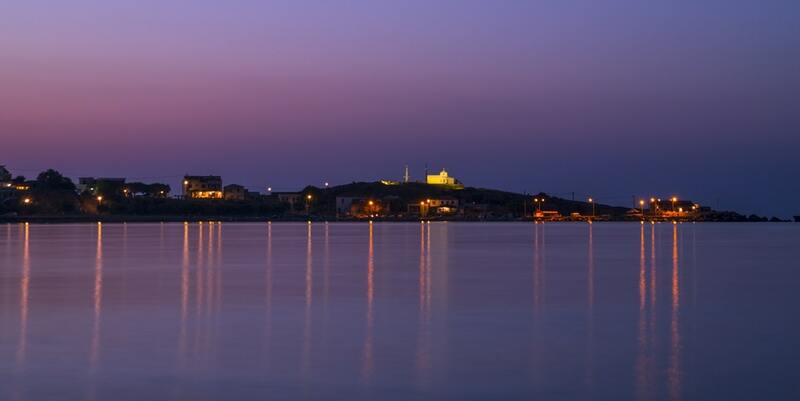 You might often come across Lesvos being referred to as ‘Mytilene’, which is the name of its capital and main port. The port of Mytilene in Lesvos is connected to Athens and the port of Piraeus with daily ferry schedules all year round. The ferry schedules become more dense during the summer, to facilitate the large number of visitors. Lesvos is also well-connected to neighboring islands of the north Aegean, like Chios, Psara, Oinousses and Lemnos, as well as the nearby ports of Samos, Ikaria, Fournoi or Kavala. At ferryhopper you can find all the available ferry connections and schedules from and to Lesvos and book your ferry tickets cheap, just in a few clicks! Lesvos is located in the northeast Aegean, approximately 250 km (157 miles) from the port of Piraeus in Athens. The ferry trip from Athens to Lesvos can last from 10 hours to 18 hours depending on the type of vessel that you choose to travel with. The ferry route to Lesvos is usually operated by conventional type ferries that offer a variety of ticket options. Due to the long ferry trip duration, often happening overnight, we recommend that you book a bed cabin. The ferry companies offer many different options, depending on your budget and the number of people travelling with you, from whole cabins as well as beds in shared cabins. You can search for all ferry ticket options on Ferryhopper. The island of Lesvos is in close distance to other beautiful islands of the north Aegean like Chios and Lemnos (or Limnos). Lesvos is connected to Chios and Lemnos with regular ferry itineraries during the winter and more frequent ferries during the summer. Apart from Athens (Piraeus), Chios and Lemnos, there are also regular ferries that connect Lesvos to other nearby islands like Samos, Ikaria, Fournoi, Oinousses and Psara throughout the year. The port of Mytilene in Lesvos also serves the ferry route Kavala - Lesvos, usually 3 to 4 days a week in the high season and once or twice per week during low season. If you visit Lesvos during the summer, you can also go for a daytrip to Ayvalik in Turkey as the ferry trip lasts approximately 1,5 hour. While Lesvos is an ideal destination for relaxing and peaceful holidays, the more adventurous of you could definitely combine it with some island-hopping in the Cyclades! During the summer period in particular, Lesvos has frequent ferry connections with Mykonos, Naxos, Paros or Syros. From there you can take a corresponding ferry and explore the charms of the Aegean sea. The local bus network in Lesvos serves diverse routes between the island port, main villages and beaches. You can find more information and details, here. Do you want your holidays to combine medieval castles, beautiful quiet beaches, forest walks, tasty food in fish villages, all in a historically-rich island? Then Lesvos is the best summer destination for you and Ferryhopper is the best place to book your tickets from! Search our map of ferries, find all the available ferry schedules to Lesvos and start planning your holidays to the North Aegean!